Do you have a toothache and suspect you need a root canal? When a cavity is deep enough to reach the innermost chamber of your tooth (dental pulp) you’ll need an emergency root canal. A tooth abscess won’t go away on its own, which is why you should schedule an appointment with your root canal dentist as soon as possible so you have the best chance of saving your smile. Continue reading to learn what you can expect during the root canal procedure. Dental pulp is the living tissue inside your tooth, which contains blood vessels, nerves, and connective tissues. While you may feel apprehensive about root canal therapy, keep in mind that you will feel much better once your dentist is able to treat your tooth infection. Your dentist will first want to take x-rays of your teeth to determine how deep your cavity runs and whether surrounding bone has been infected. While your teeth may appear perfectly healthy on the surface, the inside of your tooth may be telling a different story. The dental x-rays will also reveal the shape of your root canals. If your dentist determines you need a tooth root canal, they will give you local anesthesia so you won’t feel any pain during the procedure. To keep the area around the infected tooth dry and clean during root canal treatment, your dentist may place a special rubber sheet around your tooth. To remove the infected dental pulp, your dentist will need to drill an access hole through the top of your tooth. Next, they will use small files of increasing size to remove the infected pulp. Every so often, your dentist may flush out the inside of your tooth with water or sodium hypochlorite. Once the inside of your tooth is clean, your dentist will seal it. Depending on your circumstances, this can be done the same day or during a later visit to your dentist’s office. If your dentist decides to seal your tooth at a later date, a temporary filling will be placed to prevent saliva and food particles from getting inside your tooth. When you come back, your dentist will remove the temporary filling. They will also fill the inside of your tooth and tooth’s root canal, and cover the access hole with a permanent filling. Since teeth are often fragile after root canal surgery, your dentist may decide you need a root canal crown to restore your tooth to its natural appearance and strength. Dr. 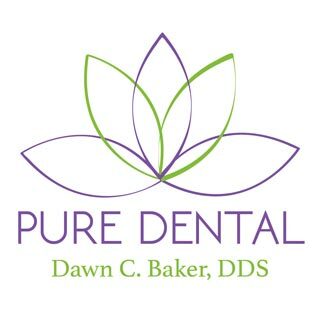 Dawn C. Baker DDS at Pure Dental is dedicated to helping you restore your smile through root canal therapy and other restorative dentistry services. If you need to schedule an appointment with our Gahanna root canal dentist, call our office at (614) 475-7580.